Click here to view Issue #2 of Trust Across America’s Corporate Integrity Monitor. Methodology: Since 2009 Trust Across America’s FACTS® Framework has been measuring and ranking public companies on five equally weighted quantitative indicators of integrity, forming the acronym FACTS- Financial stability, Accounting Conservativeness, Corporate Governance, Transparency and Sustainability. Our objective model (companies do not know they are being analyzed nor are any internal employee surveys completed) was initially constructed in 2008 and measures the corporate trustworthiness/integrity of the largest 2000 US public companies. Trust Across America’s Most Trustworthy Public Companies ranks the Russell 1000. This, by order of magnitude, is the most comprehensive and fact-based ongoing study on this subject. We analyze quarterly and rank order by company, sector and market capitalization. We are particularly interested in tracking individual companies and sector trends over time. #3 Best Buy Co., Inc.
* Named for two consecutive years. No company is perfect. The 2017 highest scoring company(ies) received a “79” on a 1-100 scale. The “Top 10” companies hail from 9 of 16 sectors. Industry is not destiny. We are pleased to see the expanding coverage of our FACTS Framework in publications including The Harvard Business Review, Strategic Finance Magazine, The Huffington Post, Globescan Dialogue, the Trusted Advisor Blog, FCPA Blog, and other publications. 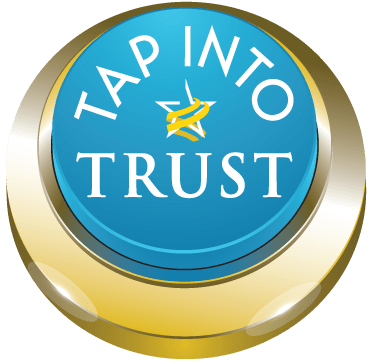 This release introduces Issue #2 of a new monthly publication The Trust Across America Corporate Integrity Monitor, available to our Trust Alliance members. Congratulations to our 2017 corporate honorees! It’s interesting and more than a coincidence that three of the top CEO’s all worked for McKinsey & Co.
Obviously a good training ground for trustworthy leaders. Valuable information for all of us in the trust business. Your FACTS methodology is the only serious attempt out there in the trust world to objectively measure corporate trustworthiness. All the others just track reputation, or offer subjective assessments. This is a very big achievement, and very valuable for any serious student of trust in the business world. It’s interesting to see info on the CEOs, but not very helpful. Can we find out from these select firms what they do to enhance/build trust? That would be most interesting.